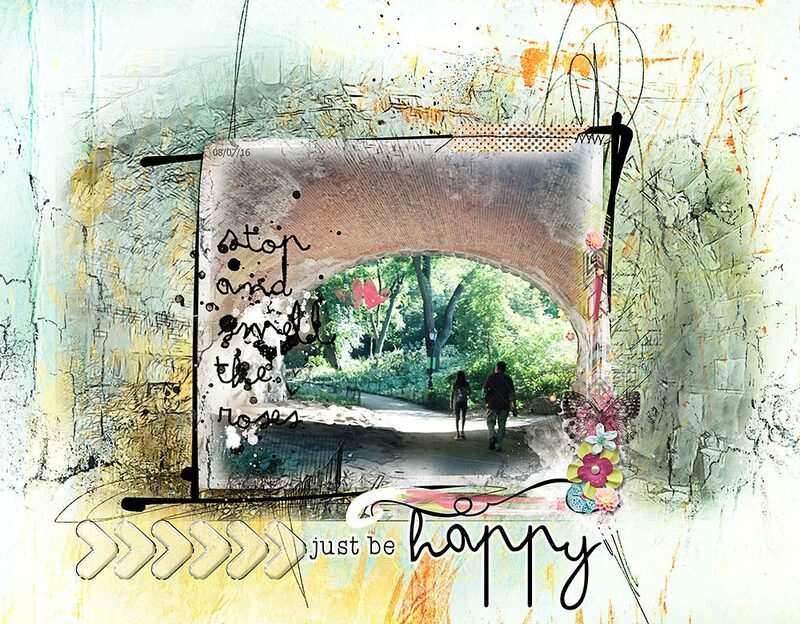 Inspiration by Flor (aka twinsmomflor) Hello everyone, Flor here. I wanted to share my layout. I’ve been having a blast this afternoon. Just play with Nicole’s awesome art. I just wanted to show a layout of the happy little things that mean a lot. I started with the paper from the everyday life kit. It already had a frame. I selected a photo. I created two copies one color and underneath the same with the sketch filter. I use the mask and erase portions of the sketch to blend with the color using clipping masks. I blend brushes with the sketch photo. 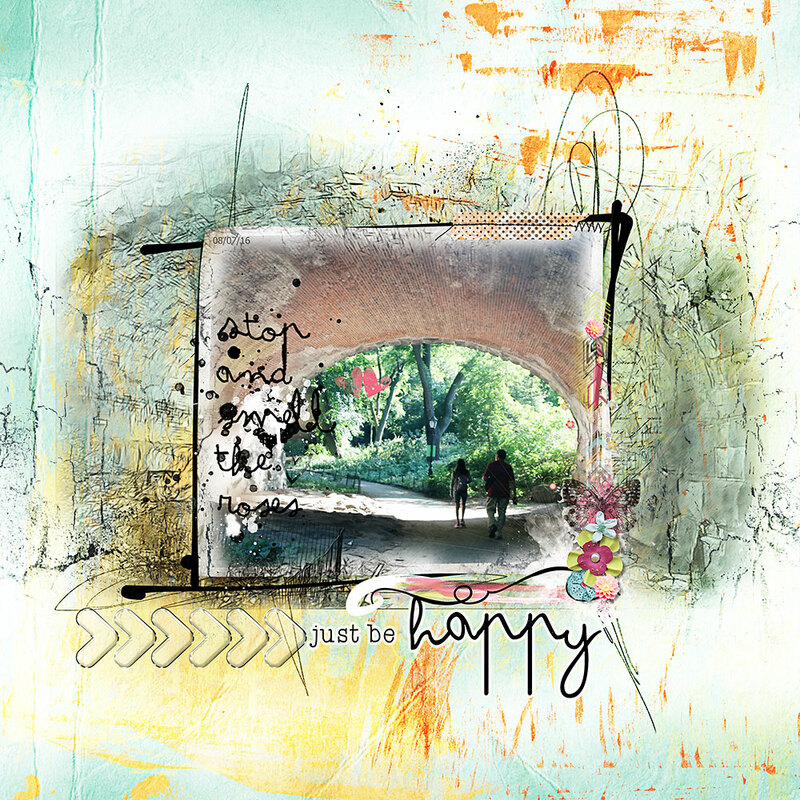 Add word art and elements to give more color and dimension.